By Gavin Seim. Updated 06/09: How do they always get super clear vivid images? Most of us have looked at images and thought this. I’ve been there too and thought I would tell you a bit about the secrets behind it. Also check out the companion PPS podcast on getting clear images. No matter what camera you shoot with, the question comes out the same. 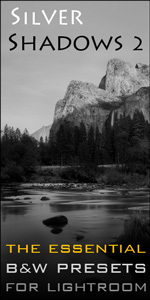 What do photographers do to get tack sharp, vivid, beautiful images? There’s not one magic formula. It’s more of a lifestyle, and how intense and vivid you want to make your images will vary. Either way you should understand the principles, so here’s some good tips to get you rolling. 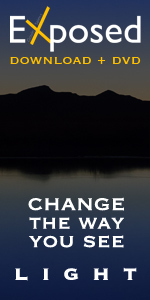 At the end you can post your own tips, and you’ll even find a link to a free Photoshop action that will help you out. This can be easily overlooked, and is crucial. Let’s say you have a lens that goes down to 1.4 or 2.8, or perhaps a long zoom. Depth of field (similar to focus) can be very shallow. You can certainly get great shots, even without a pod and on the go. It just takes some practice. Don’t get discouraged when some eyes are blurry. If you focus on a person 6 feet away who is slowly moving towards you, those eyes might be soft in the time it takes you to press the shutter. 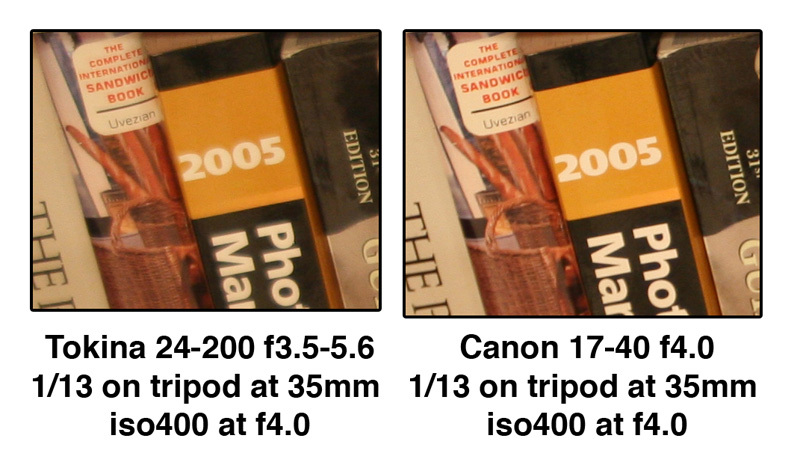 One solution is to raise that aperture setting higher (smaller opening and more depth of field) 5.6, 8.0, etc. That will help give you more focus depth, but will also require a slower shutter speed and sometimes that shallow effect is beautiful. So to help you nail it, take lots of shots and then pick the best ones. When you can, use a tripod help keep that camera still, and remember the focus will be shallow at lower (larger opening and less depth of field) aperture settings. Also try setting the focus point right on their eye (or other desired focus spot) and nowhere else, to get your focus dead on. Practice makes perfect. Another big factor is shutter speed. A rule of thumb is that if your shutter speed is less than the length of your lens, then it’s too slow. IE. 100mm lens = 1/100 sec or faster. Faster than that is good, and slower is also possible. You have to know your camera, and get a feel for what you can do. I’ve gotten clear shots of moving race cars at 100mm or more with 1/30 sec or less, by simply following the movement. That doesn’t happen every shot and can be tricky. But again practice practice practice. Watch that shutter speed, and learn to hold that camera solid against your face, especially when in low light without a support. If you can use a flash in low light, do it first to nail the shot you need and then then try without it, for some more creative work. This way you have the success shot to fall back on if the creative shots don’t work out like you planned. Movement of the camera can have a huge effect on your images. Holding the camera solid does not mean it should not move when you want it to. If your subject is moving, then try following it’s path with your lens (panning). Even at 1/500th of a sec, a shot of someone running past might not be clear if you hold the camera still, yet when you hold that camera firm and pan along with the motion, that same person can be tack sharp at 1/60th. Play around with motion and learn how it behaves. 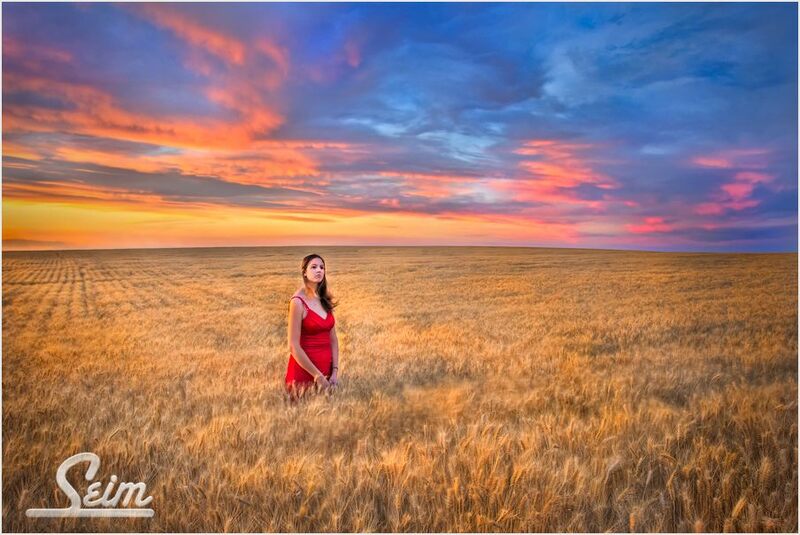 Sometimes you may even want a blur on a certain area, like the wheat in the HDR portrait below. With practice comes control. There is truth to the saying “You get what you pay for” That 18-55 lens that came in your kit might get you some great shots, but when it comes to lenses you usually lose image quality by saving $. This is especially true at longer focal lengths. I’m not saying you should automatically buy the most expensive lens you find. It pays to read reviews and see what others are saying before you buy. You may find a great value. Just remember that it’s not really the body, it’s the eye in front of it. A $500 Digital Rebel can take pretty much the same shot that a $10k 1D can if it has a great lens. Lets look at an example. It was a few years ago that I discovered the true value of great glass. People kept telling me “it’s was all in the glass” and I don’t think I really believed it until I tested for myself. 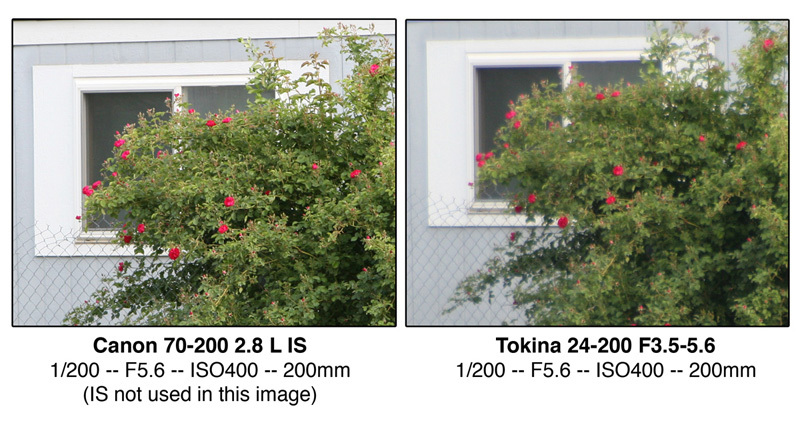 I had a Tokina 24-200 zoom lens that I really liked. It served me well, and I got some great shots from it. But I kept thinking… “Why aren’t my images VIVID?” I finally broke down and spent some real money on lenses. Below are the results from the sample shots I took with each lens. Amazing huh? Bear in mind that I’m not bashing Tokina. I got some good shots from it, and it was only a $300 lens. vs the $1700 Canon lens. Also the Tokina was a few years old and the Canon’s were brand new. Owning an OEM lens won’t help if it’s still a cruddy lens. I got what I paid for. A top of the line lens is worth the money, if you want the best image you can get. And though it doesn’t sound as exciting as that new camera body that just came out, it will give you much more. In the end it’s always more about experinace than gear, but great lenses just may be your key to getting that tack sharp image your looking for. Start by browing some reviews on Fred Miranda and finding a lens you can afford that has rave reviews. One popular lens for us Canon shooters is the 50MM 1.4. While not an L lens, it has amazing clarity at a good price. Last but not least is the post production work. Sharpening can really transform your images POP, and usually when you see a shot that makes you say. “WOW THAT’S SO CLEAR”, sharpening had a hand in it. The thing to remember is that sharpening is not an excuse to be lazy. While it might make a poor picture acceptable, it will never make it great. A great image starts out great, and is made better by post production tools. 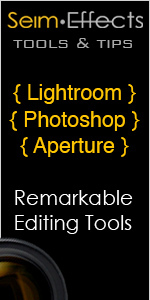 Try taking your photo into Photoshop, or some other editor and just start playing with the sharpen tools. Don’t overdue it. Add some smart sharpen, or un-sharp mask. Just enough to make it POP a bit. You can play with “high pass” as well. You can also get actions for sharpening. I make Photoshop actions & Lightroom preset collections over at Seim Effects, but below is also a link to a freebie pack I made, that includes an effect called Visual Razor. 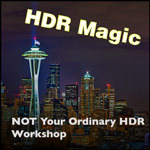 It will give your images POP by using sharpening and a few other tricks.